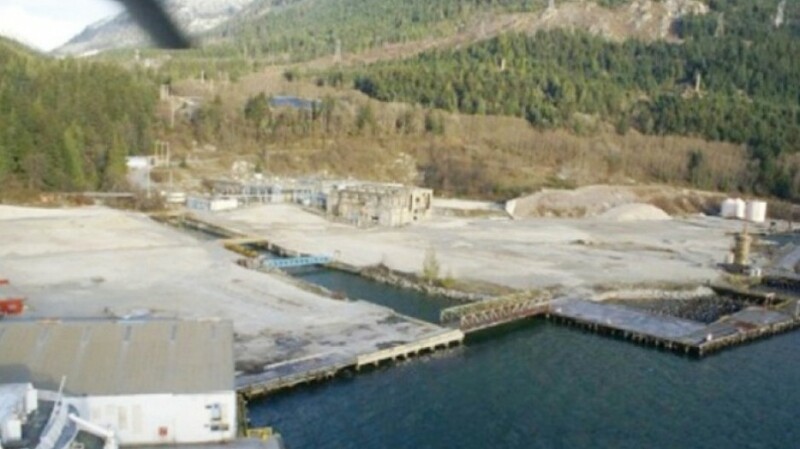 Work has begun in Squamish to dismantle the remnants of an old pulp mill site to make way for the Woodfibre LNG project. Multi-million dollar remediation includes removal of thousands of creosote pilings, docks and a warehouse. The cleanup is being done by Sukwi7 Contracting – a subsidiary of Nchu7mut Contracting, a Squamish First Nation business unit – and Vancouver Pile Driving Ltd.The cleanup will involve the removal of thousands of old creosote-soaked pilings, an old warehouse, docks and other infrastructure from an old pulp mill – a job that is expected to take about six months and employ roughly 25 people. “It’s a significant amount of work,” said Byng Giraud, vice president of corporate affairs for Woodfibre LNG. It’s part of a multi-million remediation needed before construction can begin on the Woodfibre liquefied natural gas project, which was originally estimated to have a capital cost of $1.7 billion. As with the larger $40 billion LNG Canada project, the Woodfibre LNG project has experienced setbacks and delays, partly due to market forces, and partly due to political hurdles. The project has the support of the Squamish First Nation, and is the only LNG project proposed for B.C. that will use all-electric drive for the chilling process of liquefying natural gas. The one big outstanding hurdle is Canadian duties on Chinese, South Korean and Spanish steel. LNG developers in Canada say Canada simply doesn’t have the capacity to build the large LNG modules, and adding 45% duties to their cost could be a serious financial hurdle. Woodfibre LNG has asked the Canadian Border Services Agency (CBSA) for an exemption to the steel duties. Giraud does not expect a decision from CBSA until October. If CBSA grants the exemptions, Giraud said construction could start on the new Squamish LNG project early in 2019. The project would take roughly four years to complete.